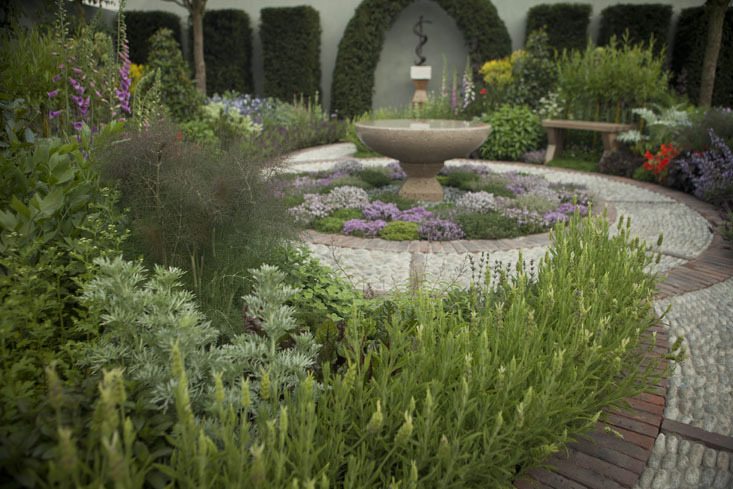 A medicinal herb garden won one of the most prestigious awards in gardening this week at the 2016 RHS Chelsea Flower Show in Chelsea, London. 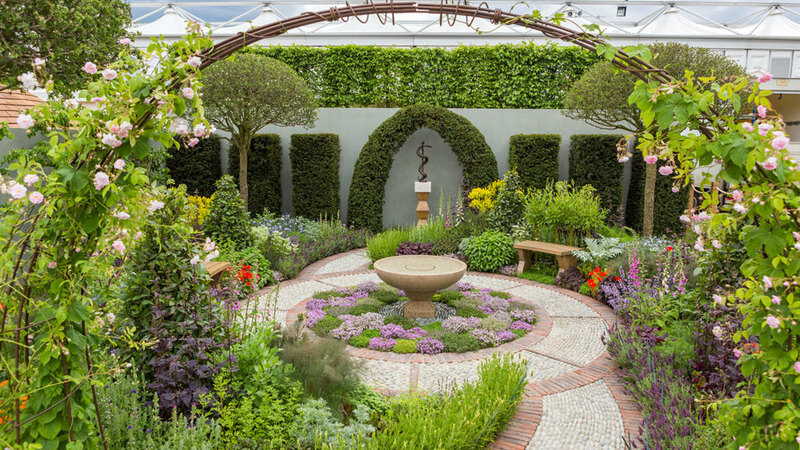 The RHS Chelsea Flower Show is a garden show held for five days in May by the Royal Horticultural Society (RHS) in the grounds of the Royal Hospital Chelsea. The featured medicinal herb garden was designed by renowned organic herb farmer Jekka McVicar, to provide a calming, reflective space for the patients and their families at St. John's Hospice in North West London. The garden, overflowing with wonderfully beneficial herbs, will also provide an incredible herbal medicine chest. Oregano (Origanum vulgare) Oregano contains high amounts of the terpene thymol, one of the most potent, broad-spectrum antimicrobial chemicals found in plants. Oregano oil acts as a mild herbal antibiotic (compared with pharmaceuticals) to treat all manner of mild infections, including respiratory and urinary tract. Yarrow (Achillea millefolium) Yarrow is a famous European remedy used to ease the symptoms of colds, flus, and painful digestion. Laboratory studies have definitively established that yarrow has anti-inflammatory, antispasmodic, anti-fever, and antiviral effects. St. John’s wort (Hypericum perforatum) Herbal clinicians recommend St. John’s wort to treat mild to moderate depression and insomnia, to relieve chronic nerve pain such as peripheral neuropathy, shingles, and trauma, and to treat external injuries involving nerve damage. Externally, the infused oil is used to reduce skin inflammation and the pain of scrapes, burns, sunburns, bruises and strains. Meadowsweet (Filipendula ulmaria) Meadowsweet is a natural internal heat-clearing or cooling herb that contains natural salicylates, as are found in aspirin. The word “aspirin” is derived from “spirin”, based on meadowsweet’s scientific name, “Spiraea.” It is used to treat fevers, colds, and pain. Plantain (Plantago lanceolata) Many of plaintains active constituents show antibacterial and antimicrobial properties, as well as being anti-inflammatory and antitoxic. Salad Burnet (Sanguisorba minor) Burnet leaves have astringent and anti-inflammatory properties. They have the ability to reduce bleeding when applied topically. When eaten, they help destroy disease causing organisms in the stomach. Burnet leaves and roots are used to solve digestive problems. Sorrel (Rumex acetosa) Sorrel is used for reducing acute and chronic pain and swelling of the nasal passages and respiratory tract, for treating bacterial infections and as a diuretic. Ox-eye Daisy (Leucanthemum vulgares) Ox-eye daisy is used for the common cold, cough, bronchitis, fever, sore mouth and throat, liver and gallbladder complaints, loss of appetite, muscle spasms, and fluid retention. It can be applied directly to the skin for pain and swelling (inflammation), wounds, and burns. Lavender (Lavendula) Lavender strengthens the nervous system and is recommended to ease head-aches & nervous exhaustion as well as to lift the spirits, relax the body and allay nausea, digestive upset and colic. It is also known to promote a relaxing sleep. Fennel (Foeniculum) Fennel seeds are used to treat dyspepsia, flatulence, nausea, stomachache, and colic. It is also known to increase lactation and ease the symptoms of bronchitis and coughs. Try your hand at growing your own herbal medicine chest. Do you feel like you are always running on empty? Try a soothing garden filled with chamomile, lemon balm, wild lettuce, and California poppy to settle your nerves and encourage restorative sleep. Need an immune boost? Try a garden of echinacea, elder, garlic, lemon balm, peppermint, thyme and yarrow. You will be ever ready to combat cold or flu season. There are many factors you might consider when choosing what vegetables to grow in your garden. When choosing what vegetables to grow in your vertical garden, some of those factors are more important than others. Read more to learn the three most important factors that we considered when selecting the best cold season vegetables for living walls. Growing your own microgreens is a very fun and rewarding experience. You can grow them indoors or out and you only need two square feet of space. And whether they are peas, mustard greens, broccoli, or kale, microgreens have up to six times more nutrients than their mature versions! This tutorial will teach you everything you need to know about how to grow your very own super nutritious micro miracles. It is possible for everyone to enjoy fresh, crisp, home-grown lettuce whether or not you have space for a traditional garden. This post will teach you just how to do it. If you have never tasted a just picked strawberry from your own garden you are in for a real treat. Growing strawberries vertically, on a living wall or garden wall, allows anyone to grow these delicious berries year-round with less than 2 sq feet of floor space! Learn how by reading this post.